Mesh is a UK-based manufacturer, known for offering the latest technology at competitive prices. Its Edge13 Aero RS is a CULV machine that packs a stunning screen and ample storage, but is flawed by its limited connectivity and warranty cover. Basic performance is provided by an Intel Core 2 Solo processor. This single-core chip runs at just 5.5 watts to minimise power consumption, but is only really suitable for the most basic use, such as word processing and browsing the internet. The laptops low-powered processor does not provide the impressive mobility we had hoped for. Running for 232 minutes, you can only enjoy basic mobility but is bettered by a lot of other rivals. That said, this compact 1.7kg machine is extremely portable and easy to carry on a regular basis. The chassis is well made and feels suitably sturdy throughout. However the highly polished, glossy plastics are a magnet for attracting scuffs and fingerprints. Where this machine stands out is its bright and vibrant 13.3-inch screen. Images are rendered sharply, with accurate levels of colour and contrast. VGA and HDMI ports are also in place for connecting to larger screens when back at home. The Mesh Edge13 Aero RS ample storage is provided by a 500GB hard drive, ideal for holding large collections of music, videos and photos, such capacious storage is useful, as there is no integrated optical drive for accessing data from, or writing data to, CD or DVD. It should be noted, however, that the hard drive of our test unit was very slow to respond when saving data and regularly produced an audible clicking sound when the disk was being accessed. This may not be a fault for all models, however, but be sure to bear it in mind before buying. Usability is far more pleasing. While the large keyboard lacks style, it is firmly fixed and all keys respond smoothly and accurately. Even when typing at speed, we found it produced no errors and we were able to work confidently at all times. Unfortunately, the poor connectivity and warranty again flaw this machine. This machine has 802.11g Wi-Fi and has limited RTB warranty which means you must pay all delivery costs in the event of any fault. 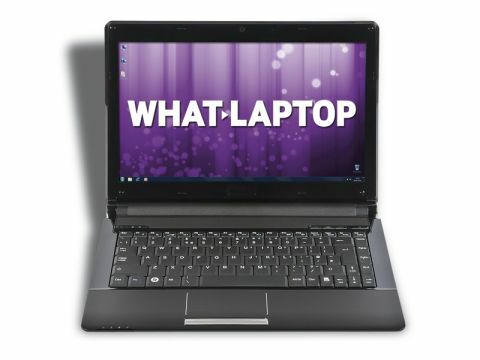 While the Edge13 Aero RS is a usable machine with a nice screen, its potentially flawed hard drive, poor connectivity and limited warranty make it hard to recommend.